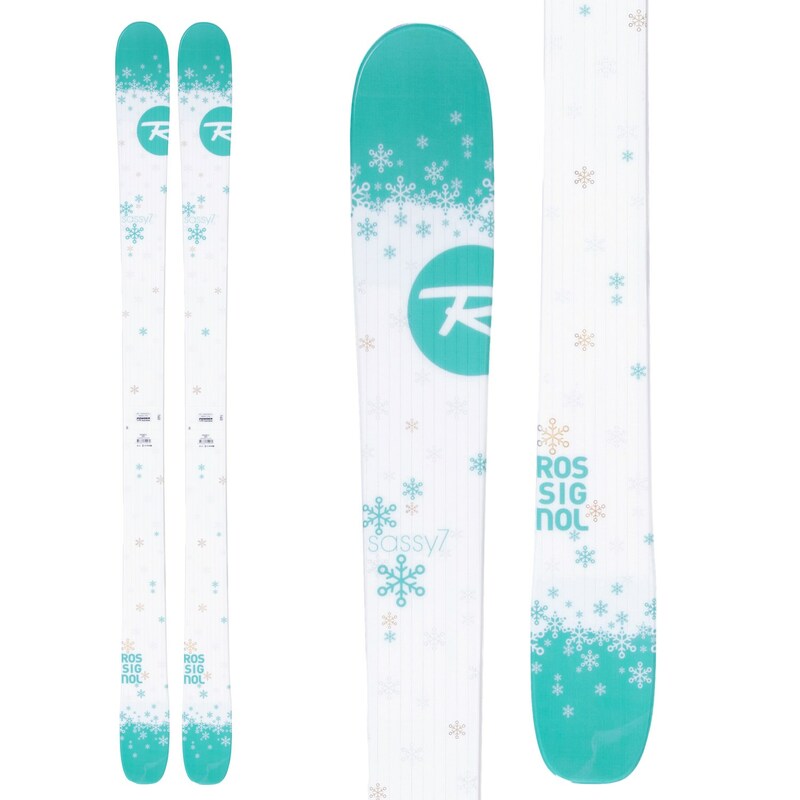 Split your time between pow and piste skiing with the Rossignol Sassy 7 Skis. This is a perfect platform to progress on if you are an intermediate looking to establish yourself as an advanced rider. With tip rocker for the soft stuff and traditional camber underfoot for edge hold and responsive turns on hard pack, this ski is incredibly versatile and will surely suit your all-mountain fancy. Get the Rossignol Sassy 7 Skis today for all-mountain fun and progression next time you hit the slopes. Powder Turn Rocker – Newly redesigned to deliver even more versatility and superior floatation. A longer, more progressively rockered tip eliminates “tip flap” in variable snow and hardpack while the tapered, more powerful tail drops into soft snow, enhancing floatation and providing effortless steering with instant speed control. Traditional camber underfoot delivers power, energy and edge grip for groomed snow performance.